SV: Shall we start with the bombshell? 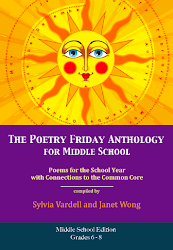 Your observations about the death of the children’s poetry anthology? Is it due strictly to the profit margin, given permission costs? Permission costs are one problem. We cannot expect poets to write without compensation. Reprint fees, which were normally low, have sky-rocketed mainly due to publishers asking for all rights. Dealing with certain agents is another problem. Many are fair, yet one agent who handles a huge grouping of America’s top poets charges a high fee for one-time use in hardcover, another fee for paperback, another for book club rights, another for world rights. One single poem might add up to $l,000. It is totally impossible to use certain poet’s work with such fees. One cannot put the blame on publishers who have to pay the compiler an advance, an illustrator an advance, a per mission budget – all before a manuscript moves from an editor’s desk to production. 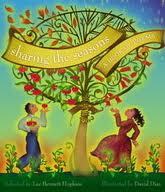 A recent collection I did, SHARING THE SEASONS (McElderry Books, 2010), a book of 48 selections ran close to $10,000 in permission fees. Few readers realize the time and expense involved in merely clearing permissions. Another problem is that certain major publishers who once published collections simply will not take on additional anthologies. It is frustrating that several have turned their back on the genre after having a history of publishing mega-hit volumes. For a collection to work it has to have a strong backing from the house. Now we are seeing ‘celebrity’ collections, for example, Julie Andrews with Little, Brown, Caroline Kennedy with Hyperion. Few can compete with such names in the marketplace yet there should be room for more voices. Another problem exists with many young editors who know little about poetry per se and are unwilling to chance an anthology on their list. SV: How will new poets find an audience if not in anthologies? Lee: New poets will always seek ways to get their voices heard. With new technology on the horizon, things might open up more. Again, little or no compensation might be forthcoming. I hope the tide will turn among publishing houses. I don’t see it happening soon. There is always a house that will take a chance on a new poet. SV: If publishers are less interested in anthologies, what formats for poetry books DO have a chance in the marketplace? 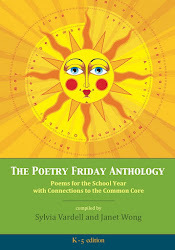 Lee: Picture book anthologies consisting of 14-20 poems will have a better chance than large collections. Again, the theme has to be strong. SV: How are picture book poetry collections faring as picture books, in general, seem to be on the decline? Lee : Publi shing is a forever guessing game. If the poetry and artwork gel, books fare well. 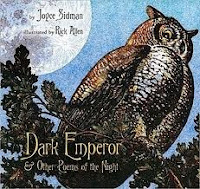 Examples are Joyce Sidman’s DARK EMPEROR AND OTHER POEMS OF THE NIGHT; published last year by Houghton Mifflin Books for Children, the book received hosts of honors including a 2010 Newbery Honor Book. 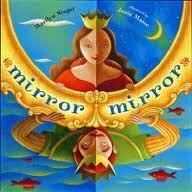 Another major hit was Marilyn Singer’s MIRROR MIRROR (Dutton, 2010). So many factors enter into a book doing well in the marketplace. A strong collection with a fine artist will do as well as any picture book might. 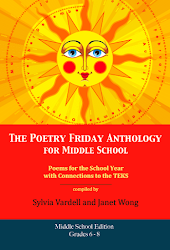 SV: Which publishers still seem to seek out and publish poetry for young people, particularly new poets? Lee: The only publisher in America who solely publishes a line of poetry is Boyds Mills Press/Wordsong. Wordsong, star ted as a separate arm of Boyds Mills Press to emphasize poetry, has been quite successful with multi-award winning titles as CARVER: A LIFE IN POEMS, a Newbery Honor Book by Marilyn Nelson, HOW GOD FIXED JONAH by Lorenz Graham, illustrated by Ashley Bryan, an ALA Notable Book, and my own BEEN TO YESTERDAYS: POEMS OF A LIFE, recipient of the Christopher Award and an ALA Notable. The house not only publishes new voices, but keeps classic works in print as in the best selling ANOTHER JAR OF TINY STARS, featuring selected poems by all fifteen recipients of the NCTE Award for Excellence in Poetry for Children Award. The award, first given in l977, is for an aggregate body of a poet’s work. SV: Poetry publishing has dipped now and again in the past—what circumstances intervened then to boost poetry? What might make such a difference now? Lee: Poetry has always been a ‘stepchild’ of the language arts. 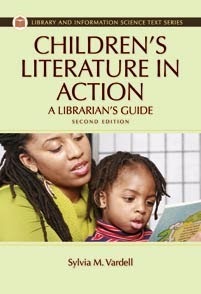 It is teachers and librarians who must promote the genre, make it part of everyday experiences for children. More inservice workshops are needed. We also need far more presentations at annual meetings/conventions. We must get contemporary poets out there reading, discussing their work. We also need to get publishers to take more chances. have done wonders for the genre. I am certain the future will bring even more. 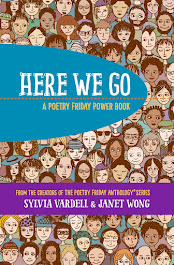 SV: What changes do you see in how teachers and librarians respond to poetry for young people (if any)? Lee: I find, have found, during decades of work in the field of poetry, once teachers and librarians are hooked they become hooked forever. 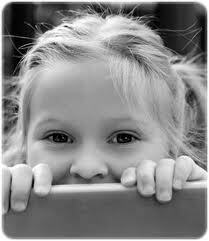 Poetry must come into our children’s lives as naturally as breathing. They should hear poetry, be presented with the genre every day of their lives. 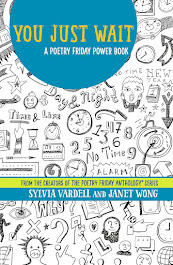 Three must reads that belong on every professional bookshelf are USING POETRY ACROSS THE CURRICULUM: SECOND EDITION by Barbara Chatton (Libraries Unlimited, 2010), and two books by Sylvia M. Vardell: POETRY ALOUD HERE! SHARING POETRY WITH CHILDREN IN THE LIBRARY (ALA, 2006); POETRY PEOPLE: A PRACTICAL GUIDE TO CHILDREN’S POETS (Libraries Unlimited, 2007). 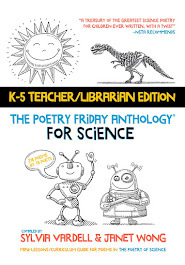 These three titles are among the best to bring children and poetry together. SV: [Thanks for the plug, Lee!] Other thoughts? Lee: Only one: A thought I’ve been thinking, something I’ve been begging for -- for over half-a-century now, since I began teaching elementary school in l960 -- Pass the poetry, please! Thanks again to Lee for these fascinating and thoughtful responses. It really is food for thought, isn’t it?! Margarita Engle burst onto the scene only 5 years ago and has already garnered multiple Pura Belpre recognitions (another one THIS year!) and a Newbery honor distinction. Her work thus far is a unique amalgamation of spare and powerful free verse, unheralded historical subjects, vividly realized settings, and multiple contradictory points of view. She has fused history, poetry, and biography to tell authentic stories about real people from the past. Her work lends itself to cross-curricular applications in history, science, and language arts, in particular. Her unique style provides opportunities for young people to connect with her work in a variety of ways. The use of many viewpoints lends itself to dramatic reading ala readers theater. (Her first three works are also available in audiobook form.) Her use of imagery and distinctive settings begs for artistic interpretation in drawing, painting, collage, etc. The history and geography nuggets may prompt further digging into nonfiction and web-based resources. Put it all together and students can create digital trailers using archival photos, period music, and evocative voiceovers to bring her works to life. 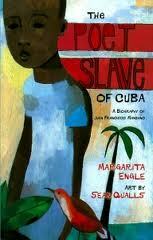 So far, Engle has authored five novels in verse beginning with The Poet Slave of Cuba: A Biography of Juan Francisco Manzano, illustrated by Sean Qualls. The life of nineteenth-century Cuban slave Juan Francisco Manzano is portrayed from multiple points of view in this complex and gritty poetry-story. Pair this book with other stories of enslaved peoples in studying the history of the Americas. It offers interesting parallels to Marilyn Nelson’s Fortune’s Bones or M. T. Anderson’s two The Astonishing Life of Octavian Nothing novels for older readers. Her verse “ biography,” The Surrender Tree, features Cuba’s legendary healer Rosa la Bayamesa, told from multiple points of view during several wars for Cuba’s independence in the 1850-1899. It is a compelling narrative of escape and hiding, heroism and healing set in the lush landscape of Cuba’s jungles and caves across three wars fought by natives and fueled by outsiders. It offers an interesting counterpoint to books about the Civil War in the U.S during this same period, such as the classic Bull Run by Paul Fleischman, also told from multiple viewpoints or J. Patrick Lewis’s poetry collection, The Brother’s War: Civil War Voices in Verse. 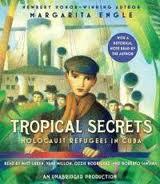 In Tropical Secrets: Holocaust Refugees in Cuba, Engle shifts to Cuba in 1939 and the contrasting, interweaving paths of a Jewish boy who is a refugee from Germany and a daughter of a corrupt Cuban official and their growing awareness of the conflicted, adult world. Follow up with other stories about refugees such as the popular Swedish novel, The Faraway Island by Annika Thor, translated by Linda Schenk, or the memoir in verse, The Year of Goodbyes by Debbie Levy, or the picture book, Brothers in Hope: The Story of the Lost Boys of Sudan by Mary Williams, or the contemporary nonfiction work, Children of War, Voices of Iraqi Refugees by Deborah Ellis. Next up: The Firefly Letters; A Suffragette's Journey to Cuba, based on the diaries and letters of Swedish suffragist Fredrika Bremer. It is set in 1851 and is built upon three female perspectives: a Swedish feminist, a slave from the Congo, and a privileged Cuban girl, weaving together notions of freedom and choice, culture and family. Engle’s focus on the roles of girls and women against a backdrop of cultural expectations and economic limitations parallels many of the struggles in another novel in verse, Crossing Stones by Helen Frost and for older readers, the novel Climbing the Stairs by Padma Venkatraman. Margarita has a new book coming out this year, another historical novel set in Cuba—but going further back several hundred years. In Hurricane Dancers, The First Caribbean Pirate Shipwreck, set in the early 1500’s, Engle’s protagonist is Quebrado, named by the sailors, el quebrado—half islander, half outsider, “a broken one,” a child of a Taíno mother and Spanish father. He navigates the “words and worlds” between his mother’s Taíno Indian language and his father’s Spanish after a devastating hurricane and shipwreck. Michael Dorris’ historical fiction novel, Morning Girl, is set in this same time period, also in a Taíno village and offers another interesting native perspective. Or look for factual informational books about hurricanes like Hurricanes by Seymour Simon or for more poetry by poets of the Caribbean such as Monica Gunning, Lynn Joseph and James Berry. What a powerful poetic voice, inspiring Latina writer, and distinctive ambassador for Cuba’s history. 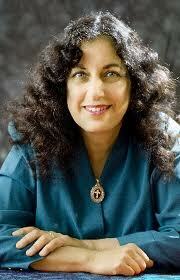 A “poet unit” focused on the works of Margarita Engle will yield a model of rigorous research, sensory description, elements of memoir, mastery of perspective, and elegant writing. Her treatment of the “true story” is eloquent and engaging, balancing the rigors of researching primary sources with the gift for telling a gripping story—all with a poet’s heart. Engle, Margaret. 2006. The Poet Slave of Cuba: A Biography of Juan Francisco Manzano. New York: Holt. Engle, Margarita. 2009. 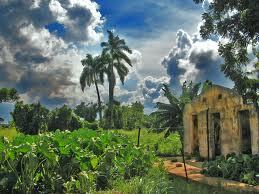 Tropical Secrets: Holocaust Refugees in Cuba. New York: Holt. 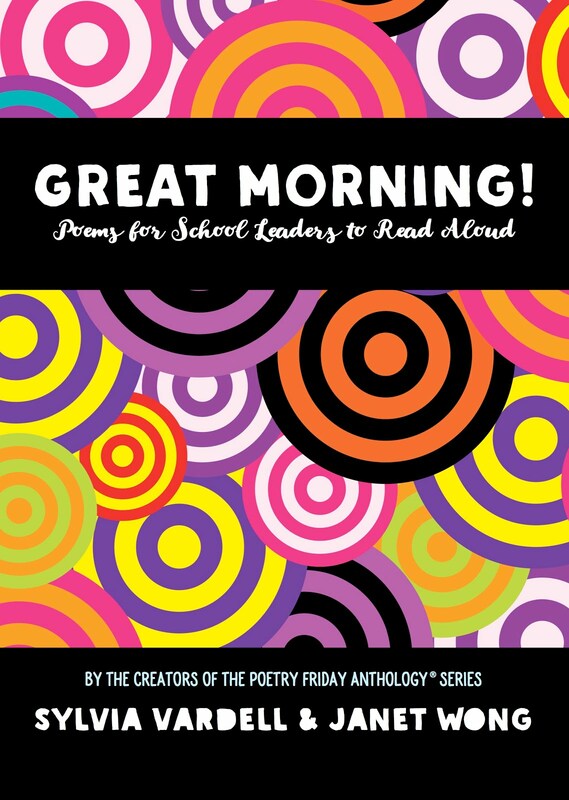 Be sure to check out this January issue of Book Links which also includes a previously unpublished poem by Margarita, free for teacher and librarian use. The accompanying poem, “Quietly,” is a lovely tribute to her mother and her mother’s influence on Margarita’s own memories. Margarita was kind enough to respond to several interview questions as I was working on this article. I think you’ll find her answers fascinating! SV: You seem to be drawn to the stories of “real” people from history. Why do you choose to tell their stories in poetry, rather than prose? Do you also rely on exhaustive research to get your details correct? Can you describe your research process? ---Margarita: I am haunted by stories about people who make hopeful decisions in situations that seem hopeless. The verse novel form allows me to distill complex historical situations down to their emotional essence. I need to learn the facts and figures of history, but I don’t want to clutter my books with information. My goal is an uncrowded page that flows easily and quickly, without intimidating reluctant readers. Researching real people and historical events requires obscure references. I start with recent publications, and work my way back in time by searching for references listed in bibliographies. When I find a diary, I feel like I’ve won a prize, because first person accounts offer emotional aspects along with the details of daily life. Since rare books are not usually available in a digital form, I depend on interlibrary loan, an amazing service that gives me access to University collections and the Library of Congress. SV: Conditions of war and armed conflict are often an important part of your books. What parallels do you see across those historical events (and today)? ---Margarita: Peace is the attraction, not war. I exist in the space between two hostile countries, Cuba and the U.S., so the interface between cultures fascinates me. In Hurricane Dancers, I wrote about the first encounter between my Cuban Indian ancestors and my Caribbean pirate ancestors. I hope my books offer empathy. The Poet Slave of Cuba is about the injustice of slavery and the yearning for literacy. The Surrender Tree shows a small country’s desire for independence from powerful nations. Tropical Secrets is about the plight of refugees. The Firefly Letters portrays women who are regarded as property. These are all ongoing situations throughout the world. They are topics that are relevant today. SV: Presenting multiple points of view seems to be a hallmark of your works. How do you choose and balance those perspectives? ---Margarita: Giving voices to characters I admire feels natural, but it’s a struggle to let the ones I detest have their say. When I wrote The Surrender Tree, I really didn’t want to let the slave hunter speak. I had to force myself to write his voice, but he was part of the story, so it had to be done. I’m currently working on a shorter novel in verse with only one voice, inspired by stories my grandmother told me about her childhood. She struggled with dyslexia, so I am dedicating the book to reluctant readers. Also, my picture book, Summer Birds, uses a single voice. I think it is a function of the complexity of the story. SV: You create such a pungent sense of place in your writing with flora and fauna, food and landscape coming vividly to life. Is that an intentional counterpoint to the vivid description of war, death, and disease you also portray? ---Margarita: I’m an agronomist and botanist, as well as a hiker and birdwatcher. I love the outdoors. I love wilderness. I can’t imagine writing in any other way. Tropical landscapes are constantly bursting with life and death. Everything grows fast, and everything rots. It’s a setting filled with fragrance and stench. It can only be described with all five senses on high alert. Your question about counterpoint is interesting, because for centuries, Cuban writers have portrayed a striking blend of natural beauty and moral corruption. It may seem surrealistic, but it’s actually a completely realistic image of life in the tropics. SV: Several of your characters serve as translators in their stories and language plays a pivotal role in the characters’ relationships. Would you care to elaborate on the why and how of that element? ---Margarita: My parents met, fell in love, and got married without speaking the same language. I was born and raised in my father’s hometown of Los Angeles, but my Cuban mother taught me Spanish while I was little, and when we spent summers in Cuba, I was immersed in Spanish. Growing up bilingual was a formative experience. I am always aware of the different ways of thinking that come with a language. For instance, in Spanish we say we dream ‘with’ someone, instead of dreaming ‘about’ them. In English we say we ‘fly’ from coast to coast, but in Spanish people can’t fly. They have to ‘go by airplane.’ Language is a magic window. It lets you glimpse the human mind. And be sure to stop by Tara's for the Poetry Friday gathering at A Teaching Life. 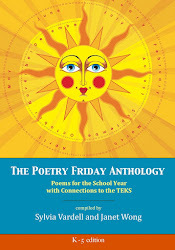 It's time again for my sneak peek at the poetry books for young people set to be published in the coming year (2011). I've combed the catalogs, talked with publishers, emailed poets, and scanned my poetry radar for any tidbits about forthcoming titles. I'm sure I have missed some and I hope readers will comment or contact me with any omissions. I actually add to this list (and this posting) all year long to keep it current. (Last year's list eventually totaled 65!) I find this list a handy reference tool and I hope you will too. Ada, Alma Flor and Campoy, F. Isabel. 2011. Ten Little Puppies; Diez perritos. New York: Rayo/HarperCollins. Adoff, Arnold. 2011. Roots and Blues; A Celebration. New York: Clarion. Bartlett, Jennifer; Black, Sheila and Northen, Michael. Eds. 2011. Beauty is a Verb; The New Poetry of Disability. El Paso, TX: Cinco Puntos Press. Bell, Marvin. A Primer About the Flag. Ill. by Chris Raschka. Somerville, MA: Candlewick. Brown, Monica. 2011. Pablo Neruda. Ill. by Julie Paschkis. New York: Henry Holt. Bulion, Leslie. 2011. At the Sea Floor Café; Odd Ocean Critter Poems. Ill. by Leslie Evans. Atlanta, GA: Peachtree. Chaltas, Thalia. 2011. Displacement. New York: Viking. Crews, Nina. 2011. Neighborhood Sing Along. New York: HarperCollins. Curtis, Tony. 2011. An Elephant Called Rex and A Dog Called Dumbo: An A to Z of Children's Poetry. Ill. by Pat Mooney. London: Black Hills Press. Dakos, Kalli. 2011. A Funeral in the Bathroom and Other School Bathroom Poems. Chicago: Albert Whitman. Durango, Julia. 2011. Under the Mambo Moon. Watertown, MA: Charlesbridge. Engle, Margarita. 2011. 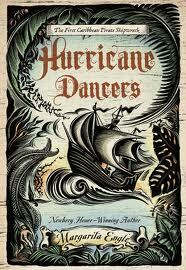 Hurricane Dancers; The First Caribbean Pirate Shipwreck. New York: Henry Holt. Foster, John. Ed. 2011. Cockadoodle Moo. London: Oxford University Press. Franco, Betsy. 2011. A Dazzling Display of Dogs. Ill. by Michael Wertz. Berkeley, CA: Tricycle. Frost, Helen. 2011. Hidden. New York: Farrar, Straus & Giroux. George, Kristine O’Connell. 2011. Emma Dilemma: Big Sister Poems. Ill. by Nancy Carpenter. New York: Clarion. Gerstein, Mordicai. 2011. Dear Hot Dog. New York: Abrams. Gibson, Amy. 2011. Around the World on Eighty Legs: Animals Poems. Ill. by Daniel Salmieri. New York: Scholastic. Greenfield, Eloise. 2011. The Great Migration: Journey to the North. Ill. by Jan Spivey Gilchrist. New York: Amistad/HarperCollins. Grimes, Nikki. 2011. Planet Middle School. New York: Bloomsbury. Ham, Catherine. 2011. Animal Naps. Waynesville, NC: EarlyLight Books. Heidbreder, Robert. 2011. Shake Awakes. Ill. by Marc Mongeau. Vancouver: Tradewind Books. Henderson, Kathy. 2011. Hush, Baby, Hush! Lullabies from Around the World. Ill. by Pam Smy. Seattle: Frances Lincoln. Herrera, Juan Felipe. 2011. Skate Fate. New York: HarperCollins. Hines, Anna Grossnickle. 2011. Peaceful Pieces; Poems and Quilts About Peace. New York: Henry Holt. Holbrook, Sara. 2011. Weird? (Me, Too!) Let's Be Friends. Ill. by Karen Sandstrom. Honesdale, PA: Wordsong/Boyds Mills Press. Hopkins, Lee Bennett. Ed. 2011. Dizzy Dinosaurs; An I Can Read Book. New York: HarperCollins. Hopkins, Lee Bennett. 2011. Hear my Prayer. Grand Rapids, MI: Zonderkidz. Hopkins, Lee Bennett. Ed. 2011. I am the Book. New York: Holiday House. Janeczko, Paul B. 2011. Requiem; Poems of the Terezín Ghetto. Somerville, MA: Candlewick. Katz, Alan. 2011. Poems I Wrote When No One Was Looking. Ill. by Ed Koren. New York: Simon & Schuster. Katz, Susan. 2011. The President’s Stuck in the Bathtub: Poems About U.S. Presidents. New York: Clarion. Kehoe, Stasia Ward. 2011. Audition. New York: Viking. Kinerk, Robert. 2011. Oh, How Sylvester Can Pester! 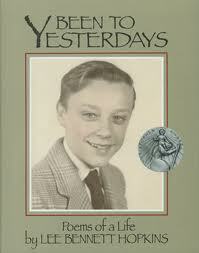 : And Other Poems More or Less About Manners. New York: Simon & Schuster. Lear, Edward/Pinkwater, Daniel. 2011. His Shoes Were Far Too Tight. Ill. by Calef Brown. San Francisco, CA: Chronicle. Lewis, J. Patrick and Yolen, Jane. 2011. Self Portrait with Seven Fingers: A Life of Marc Chagall in Verse. Mankato, MN: Creative Editions. Marcus, Kimberly. 2011. exposed. New York: Random House. McGough, Roger. 2011. Imaginary Menagerie. London: Frances Lincoln. Mitton, Tony. 2011. Come Into This Poem. London: Frances Lincoln. Moses, Brian. Ed. 2011. Best of Enemies, Best of Friends. New York: Hachette. Navasky, Bruno. Ed. 2011. Poem in Your Pocket for Young Poets; 100 Poems to Rip Out & Read. New York: Abrams. Nursery Rhyme Comics; 50 Timeless Rhymes from 50 Celebrated Cartoonists. New York: First Second. Ostlere, Cathy. 2011. Karma. New York: Razorbill. Ostow, Micol. 2011. family. New York: Egmont. Parsons, Trevor. 2011. Hear Here! London: Hands Up Books. Peck, Jan and Davis, David. Eds. 2011. The Green Mother Goose; Saving the World One Rhyme at a Time. Ill. by Carin Berger. New York: Sterling. Porter, Pamela. 2011. I'll Be Watching. Toronto: Groundwood. Raczka, Bob. 2011. Lemonade and Other Poems Squeezed from a Single Word. New York: Roaring Brook. Rasmussen, Halfdan. 2011. A Little Bitty Man and Other Poems for the Very Young. Translated by Marilyn Nelson and Pamela Espeland. Somerville, MA: Candlewick. Rooney, Rache. 2011. The Language of Cat. London: Frances Lincoln. Rosen, Michael J. 2011. The Hound Dog’s Haiku and Other Poems for Dog Lovers. Cambridge, MA: Candlewick. Ruesga, Rita Rosa. 2011. Cantaba la rana/The Frog Was Singing. Ill. by Soledad Sebastián. New York: Scholastic. Salas, Laura Purdie. 2011. BookSpeak!. Ill. by Josee Bisaillon. New York: Clarion. Schroeder, Lisa. 2011.The Day Before. New York: Simon & Schuster. Shahan, Sherry. 2011. Purple Daze. Philadelphia, PA: Running Press Kids. Silverstein, Shel. 2011. Every Thing On It. New York: HarperCollins. Simon, John O. Ed. 2011. Cyclops Wearing Flip-Flops. San Francisco: Center for the Art of Translation. Singer, Marilyn. 2011. A Full Moon is Rising. New York: Lee & Low. Singer, Marilyn. 2011. A Stick Is an Excellent Thing. Ill. by LeUyen Pham. New York: Clarion. Singer, Marilyn. 2011. Twosomes: Love Poems from the Animal Kingdom. New York: Knopf. Stevenson, Robert Louis. 2011. A Child’s Garden of Verses. Ill. by Barbara McClintock. New York: HarperCollins. Thompson, Holly. 2011. Orchards. New York: Random House. Van Cleave, Ryan G. 2011. Unlocked. New York: Walker. 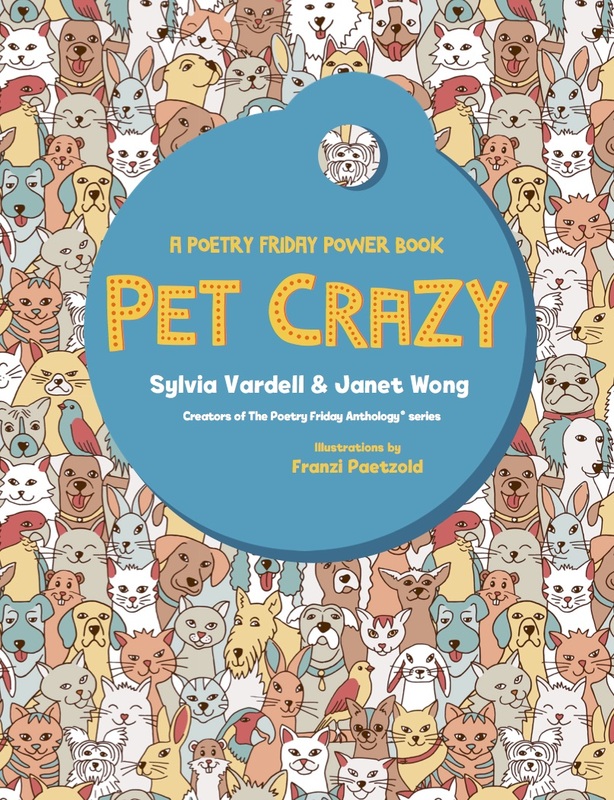 Vardell, Sylvia and Wong, Janet. Eds. 2011. P*TAG. Seattle: PoetryTagTime.com. Vardell, Sylvia and Wong, Janet. Eds. 2011. PoetryTagTime. Seattle: PoetryTagTime.com. Vardell, Sylvia and Wong, Janet. Eds. 2011. 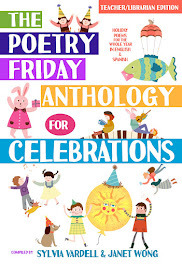 Gift Tag: Holiday Poetry for Children and Young Adults. Seattle: PoetryTagTime.com. Wardlaw, Lee. 2011. Won Ton; A Cat Tale Told in Haiku. Ill. by Eugene Yelchin. New York: Henry Holt. Warren, Celia. Ed. 2011. RSPB Anthology of Wildlife Poetry. London: A&C Black. Weber, Lori. 2011. Yellow Mini. London: Fitzhenry & Whiteside. Wheeler, Lisa. 2011. Spinster Goose; Twisted Rhymes for Naughty Children. Ill. by Sophie Blackall. New York: Atheneum. Wolf, Allan. 2011. The Watch That Ends the Night; Voices from the Titanic. Somerville, MA: Candlewick. Yolen, Jane. 2011. Birds of a Feather. Ill. by Jason Stemple. Honesdale, PA: Wordsong/Boyds Mills Press. Yoon, Salina. 2011. One Two, Buckle My Shoe. New York: Random House. Zimmer, Tracie Vaughn. 2011. Cousins of Clouds; Elephant Poems. Boston: Houghton Mifflin.